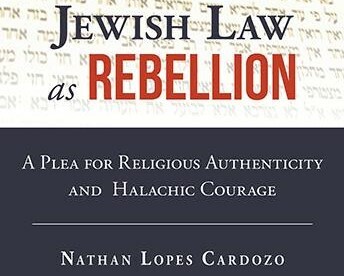 A review of Jewish Law as Rebellion: A Plea for Religious Authenticity and Halachic Courge, by Rabbi Dr. Nathan Lopes Cardozo (Urim 2018). Ever since first encountering the writings of Rabbi Dr. Nathan Lopes Cardozo, I have found myself agreeing with much of what he has written. He is a rare thinker, who lives in many worlds, and he describes many of his ideas with true elegance, by weaving profound Jewish teachings with exquisite insights from the world of philosophy, art, and music. Moreover, as someone who not only listens to Beethoven, Bach, and Mozart, but plays them too, I have a debt of gratitude to Rabbi Cardozo for putting into words my love affair with music, and for explaining how I can understand more about my relationship with God through my relationship with music. However, beyond my admiration of Rabbi Cardozo, as well as my love of music, I am very much in love with Halacha (Jewish law). When I study halachic writings — and specifically, responsa literature — I encounter poskim (halachic decisors) who wrestle with the conflicting values of Torah laws and human needs in order to formulate solutions that reflect the spirit and values of the Torah. For me, Halacha is both mindful and soulful. 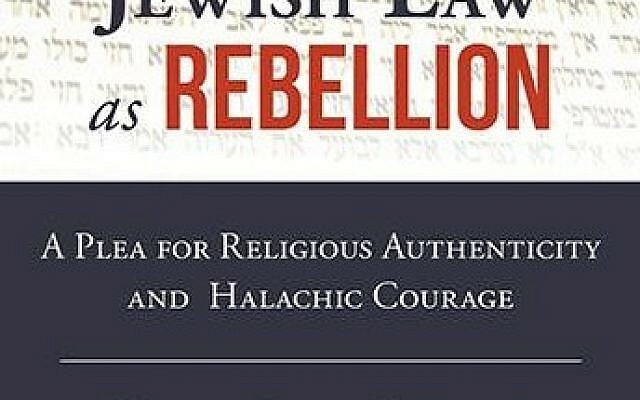 In light of all the above, it was with great interest that I received a copy of Rabbi Cardozo’s most recent book Jewish Law as Rebellion: A Plea for Religious Authenticity and Halachic Courage, which contains 54 essays/chapters, in addition to an introductory essay entitled, “Jewish Law (Halachah) as Rebellion,” where Rabbi Cardozo outlines what he, and some of the ideas found in this book, seek to achieve. It is with this essay I would like to begin. Of course, this call to “liberate Halacha” sounds exciting. 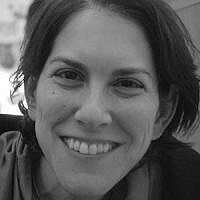 When Rabbi Cardozo expresses how, “while in ages past, discussions within Halacha could ignite fires of debate, we are now confronted with an increasingly post-idea halacha,” and that “the problem is that… easily accessible information has replaced creative thinking,” it very much sounds like he is right. However, what is Rabbi Cardozo specifically referring to? Certainly, there are many halachic handbooks produced today that “recycle Halacha” (as Rabbi Cardozo puts it), rather than generate Halacha, and if it is to this that Rabbi Cardozo refers, then he is certainly right. But since when are halachic handbooks a measure of halachic creativity? Instead, when I read the contemporary responsa volumes that line my shelves — those of Rabbi Asher Weiss, Rabbi Ovadia Yosef, Rabbi Hayyim David Halevy, Rabbi Nachum Rabinovitch, Dayan Shlomo Deichovsky, Rabbi Yehuda Henkin, Rabbi Yoni Rosensweig, Rabbi Rachamim Berachyahu, and Rabbanit Malka Puterkovsky (and I should add, this is aside from those of Rabbi Eliezer Waldenberg, Rabbi Moshe Sternbuch, and Rabbi Moshe Feinstein — each of which contains a multitude of creative rulings and interpretations — as well as numerous rabbinic journals, such as Techumin and Tzohar, which contain some truly magnificent responsa), I am moved by their boldness and creativity. Then, Rabbi Cardozo challenges the yeshiva education system and explains how “most of our yeshivot have retreated from creative thinking,” and that “we tell them what to think instead of teaching them how to think.” Moreover, he adds that “Jewish education today is, for the most part, producing a generation of religious Jews who know more and more about Jewish observance, but think less and less about what it means.” To this, I fully agree. Yet, notwithstanding this valid criticism of Jewish education, it is noteworthy that almost every one of the poskim listed above became a bold halachic decisor based on experiences outside the classic beit midrash, and that — to my knowledge — no model of training towards bold halakhic creativity has ever existed in an institutionalized setting. However, it is his paragraph titled, “The quest for certainty paralyzes the search for meaning” that highlights some of what I believe are the flaws in this essay, and this book, while also revealing what, ultimately, is frustrating Rabbi Cardozo. For those unaware of the phenomenon that is troubling Rabbi Cardozo, it is the way that some rabbis — most famously, Rabbi Shlomo Aviner — offer rapid SMS halachic answers to complex halachic questions. 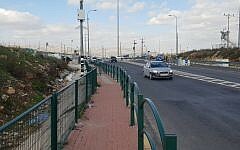 In Israel, these answers are reproduced in weekly newsletters that are distributed in synagogues, and they are often the source of discussion, and disagreement, in homes and online discussion groups. Here too, I fully agree with Rabbi Cardozo. Yet, to use this as an example of what is wrong with Halacha is comparable to suggesting that there is no creativity in cooking today, because fast food restaurants exist. Just as the existence of bland and under-nourishing food does not suggest that all food today is bland and under-nourishing, neither does the existence of bland and under-nourishing halachic writing mean that all halachic writing is bland and under-nourishing. Subsequently, Rabbi Cardozo does admit that “there are still dissidents with in the world of Halacha today — and they are growing in number,” but “the religious establishment is unable to hear [them]” because “original halachic Jewish thinkers today fall victim to the glut of conformists.” According to Rabbi Cardozo, “while these thinkers challenge conventional views, they remain unsupported and live lonely lives because our culture writes them off. Rather than saying yes to new halachic ideas, which we are in desperate need of, the conformists pander to the idol worship of intellectual and spiritual submission.” Here too, I wonder to what is Rabbi Cardozo referring, and he obliges my inquiry by elaborating. Simply put, Rabbi Cardozo — like many before him — believes that codification leads to the stagnation and recycling of Halacha, and a yearning towards halachic absoluteness that does not reflect the complexity of life. And were this to be the totality of halachic writing, he again would be right. But codes such as the Mishneh Torah and the Shulchan Aruch fill only half of the halachic bookshelf, while the other half is filled with the “chaotic” (a word that Rabbi Carodozo employs often) collections of responsa literature, which is messy by its very nature. Within responsa — and here I mean real responsa rather than the SMS version of Rabbi Aviner — we find halachic answers to complex human needs, based not only on the words of halachic codes, but also on what is gleaned between the lines of these great works. As Rabbi Cardozo himself explains in Chapter 1, it is within responsa where individualized responses to individual challenges are found. In the final paragraphs of this opening essay, Rabbi Cardozo writes that “what the religious establishment needs to realize is that Halacha itself has generally fallen victim to boredom,” and that “today, the world is astir while the Halacha is sleeping.” As mentioned, this is simply not the case, but it made me wonder why Rabbi Cardozo would make such a statement. And it is to the rest of the essays that I now turn. As previously mentioned, Rabbi Cardozo raises what is a valid challenge against halachic codification, and in Chapter 2, he elaborates on his position, particularly citing the Maharshal, who was one of the most vociferous critics of the Shulchan Aruch. According to Rabbi Cardozo, the model of halachic codification means that Halacha is perceived by young searching people as a dry and unbending text to which they do not relate. However, if Rabbi Cardozo is right, and if “the very image of Halacha [must be]… seen in a different light,” then, rather than “de-codifying” (this too is a term that Rabbi Cardozo repeatedly employs), our task is to counterbalance the halachic conversation by popularizing the study and discussion of responsa that clearly reflect how Halacha can, and should be, individualized. In fact, this is even more evident in Chapter 3, which discusses the law of “yayin nesech” (the prohibition of using wine that has been handled by a non-Jew). Though Rabbi Cardozo does cite a number of poskim whose responsa come close to relegating this law to the history books, he is insistent that de-codification is the necessary stepping stone to halachic creativity. 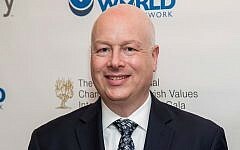 I challenge this approach, and believe that a greater emphasis on halachic creativity, as found within responsa literature, and an understanding of the enormous contribution to responsa in terms of halachic change, is a far more “authentic” approach to finding the answers to the many complex problems that we face. Rabbi Cardozo addresses many important topics in this work, and it is in his essays on conversion where the weakness of his underlying argument is particularly evident. Though he writes that “whether or not the convert must a priori take on all the commandments, or only some, is a matter of great debate among the authorities,” it is important to note that the stipulations for kabbalat ol mitzvot (accepting the mitzvot), as found in Rambam’s Mishneh Torah and Rabbi Yosef Karo’s Shulchan Aruch, allow for considerable halachic flexibility. Simply put, the limiting factor relating to conversion today is not codification. Beyond this, as Rabbi Cardozo himself admits, bold and creative halachic solutions regarding conversion have in fact been offered and discussed in responsa volumes. Ultimately, Halacha is not the problem, and creativity is not lacking. Instead, it is both the rabbinic will and the social pressure that does not permit one “to boldly go where no one has gone before” (and yes, Rabbi Cardozo does quote this line from Star Trek). In conclusion, I agree with many of the issues that Rabbi Cardozo lists in his essays as requiring attention in the contemporary Orthodox world, and I must note that a single review cannot address the wide range of fascinating topics he addresses in this book. However, I believe that Rabbi Cardozo’s criticism of “Halacha” is overstated, and his call for Halacha to be “liberated” emerges from a misrepresentation of the richness of Halacha as merely a dry and unbending code. 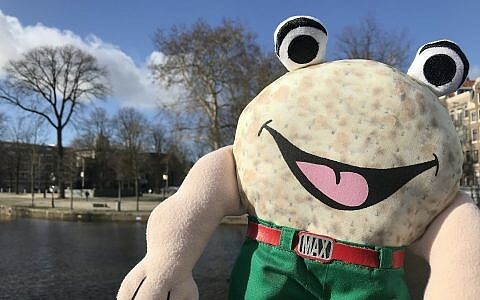 True, codification has its weaknesses, but that is why we have responsa, and the strengths of one are the weakness of the other. Ultimately, to claim that codification is the problem without celebrating and exploring in equal measure the creativity of the responsa literature — of the past and present — is to present a warped view of Halacha. 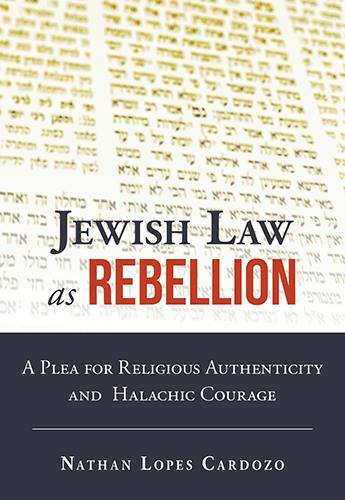 Jewish Law as Rebellion is a fascinating and thoroughly enjoyable book. Rabbi Cardozo truly engages the reader, and many of the ideas he expresses are truly exquisite. 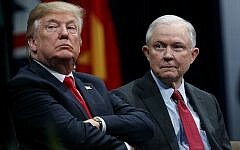 But for me, his book is rooted in the worldview of theologians like Heschel, while offering a harsh critique of Halacha with a focus on codification, yet paying little attention to the rich halachic conversations that our legal codes have stimulated or the countless bold responsa that have been written. Personally, were I to write a book such as this, each of the 54 chapters would be a case study of bold and creative halachic rulings and responsa from past and contemporary poskim, and the final chapter would be a list of questions for which bold and creative halachic answers need to be written — including an email address where they can be sent. 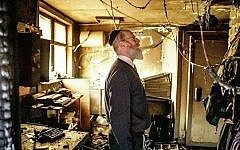 It takes great courage to challenge the status quo of Orthodoxy, and for this, Rabbi Cardozo should be applauded. 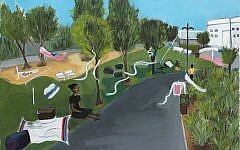 But true change comes when we show how it has been done before, and give support for how it can be done in the future. 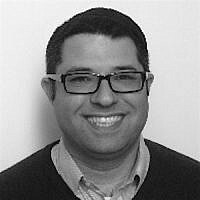 Rav Johnny Solomon is a Seminary teacher and a Jewish Education Consultant.